April 4, 2018 -- Jerome A. Cohen, NYU Professor of Law and Faculty Director of the U.S.-Asia Law Institute, received the illustrious honor of The Order of the Rising Sun, Gold Rays with Neck Ribbon. Consul General Ambassador Reiichiro Takahashi awarded the prestigious honor. The evening also featured congratulations by NYU Law School Dean Trevor Morrison and U.S.-Asia Law Institute Senior Fellow Ren Ito. Professor Cohen was awarded for his outstanding contributions in promoting interactions among Japanese and U.S. legal professionals as well as to enhancing the understanding of Japan among people in U.S. When Professor Cohen started East Asian Legal Studies at Harvard Law School, it was one of the first programs of its kind in the United States. During his twenty-five years at Harvard, Professor Cohen also contributed to the foundation of Japanese law teaching and research beginning 1972, and often taught Japanese law in cooperation with visiting experts from Japan. For the past twenty-seven years at New York University Law School, he has facilitated the establishment of an increasingly prominent research center on Asian law and helped to recruit distinguished professors who specialize in Japanese law. He now serves as Faculty Director of the US-Asia Law Institute. 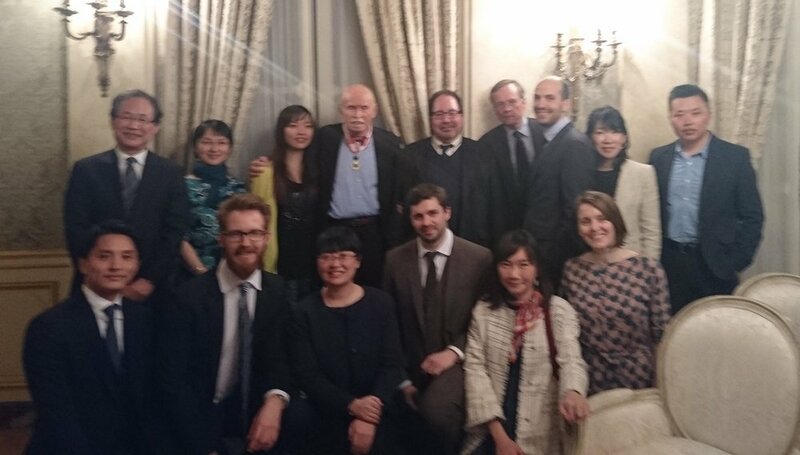 The Institute annually hosts 10-12 legal experts and researchers from Asian countries (about 3-4 from Japan), provides research and educational opportunities for students from many countries, and promotes exchanges, conferences and lectures on Asian law. As a legal expert, Cohen has long addressed rule of law, human rights and other international law issues regarding China, has published many books and essays and through hundreds of op-eds has contributed to public understanding of the role of law in American foreign policy.